Make Amazing Japanese Cuisine in "Miracle Oden Shop" on iTunes Japan Store! Hey guys, Nick here bringing you tons of fun Japanese game reviews for your enjoyment! Today I am showcasing a pretty cool food game that involves you working in a Japanese oden shop! If you don't know, Japanese oden is salty foods submerged and boiled in water and a popular favorite among many in Japan! These little shops are everywhere from Tokyo to Okinawa! I found this game both fun and easy enough for all to enjoy! The game is called おでん屋 人情物語 ～今宵 キセキの起きる店～, but roughly translated as Miracle Oden Shop, published by Gagex Co.,Ltd.. Without further ado, let's check it out! 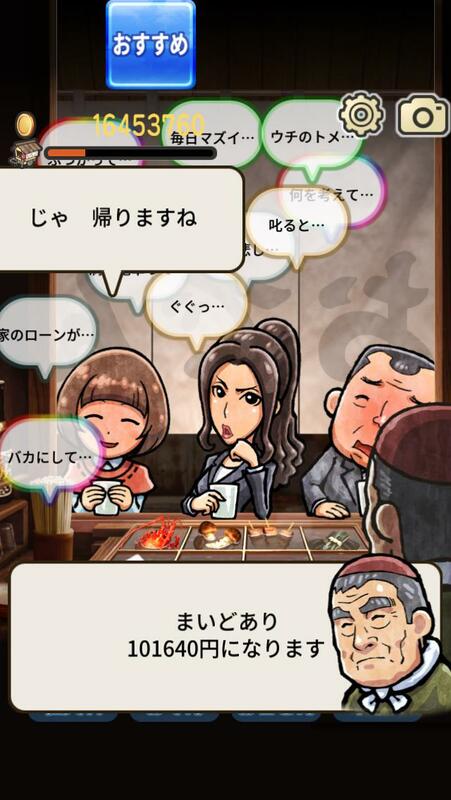 The game begins with you as the Oden shop owner, as guest begin to fill your store front! It may seem typical you will be making food but in this case you will be listening to customer requests by tapping on them. Simply tap on a customer and they will speak about what it is that they are craving that day. When you tap them enough that item will become priority and made and sold them and you begin to earn money! Additionally, you have a recipe notebook in which you will expand your fabulous Japanese cuisine with, while appeasing all of your customers. The goal is to make sure people in the store front who have come first in line are to receive the food they want before pleasing others who entered after them. Now this feat is actually slightly difficult because some people are not as vocal as others. Unfortunately, sometimes I would end up losing a customer or two if I could not get their order in on time. Overall, I found the game really fun and exciting, especially because I love adorable Japanese food games. What do you guys think? Let me know in the comment section below, as I always adore your feedback! As you can see above, there are various steps before the customers become impatient and leave, or become very satisfied and happy with your cooking! The cool thing about this aspect in the game is that these customers are also in your cookbook as well, telling you their favorites and various personality notes about them, to ensure that your cooking for them can be even quicker the next time around. Miracle Oden Shop is available exclusively on the Japan Apple iTunes Store, and it is free to play and download as well! If you have not had the opportunity to make a Japanese Apple ID yet, we have a five-minute guide to help you get access to all the cool Japanese App Store content, here.